The latest NBN monthly progress report reveals that as of May some 3.9 million households and businesses had active services on the National Broadband Network. The company aims to have 8 million homes and businesses with active service by 2020, with more than half those 8 million connected by the end of FY18. The latest monthly snapshot also reveals that some 6.7 million premises are currently able to order NBN services. The report indicates that the number of end users purchasing 50Mbps or faster services continue to increase. In total, 44 per cent of active services had 50Mbps+ wholesale speeds, up from 42 per cent in April and up from 16 per cent 12 months earlier. The percentage of end users with 25Mbps or 12Mbps services has dropped from 84 per cent May 2017 to 56 per cent in May 2018. The increase in high-speed plans follows a concerted push from NBN to encourage telcos to make 50Mbps the typical speed for households, beginning with a discount on 50Mbps wholesale pricing followed by the recent introduction of bundled 50Mbps and 100Mbps wholesale products. NBN is currently planning to introduce additional changes to its pricing, creating bundled fixed-wireless products and a new voice-only offering. “We’re pleased to see our work with industry is showing early signs of paying off with our insights indicating that new customers who connect to the network are generally more satisfied with their broadband service than before we introduced our new wholesale discount options,” NBN’s chief customer officer – residential, Brad Whitcomb, said In a statement. The report also reveals that the percentage of premises that experienced congestion related to NBN’s access network crept up from 0.073 per cent in April to 0.089 per cent, while the average number of minutes of bandwidth congestion per service was steady at 18 minutes. Both figures still represent a significant improvement on May 2017 when they stood at 0.121 per cent and 342 minutes. NBN recently revealed it was looking at introducing a ‘fair use’ policy that could throttle some users of its fixed-wireless service during peak periods in order to combat congestion. 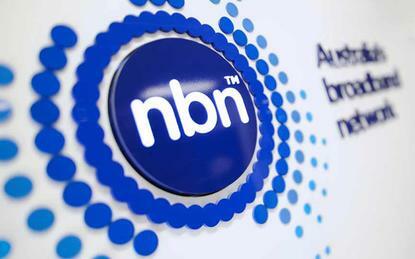 The access network achieved 100 per cent availability during the month, excluding planned outages NBN said.